(b) Check charcoal canister assembly operation. 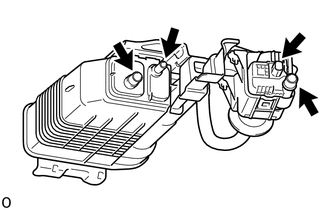 (1) With the purge port and leak detection pump sub-assembly connector closed, blow 5 kPa (0.05 kgf/cm2, 0.7 psi) of air into the vent port, and check that air flows from the air inlet port. 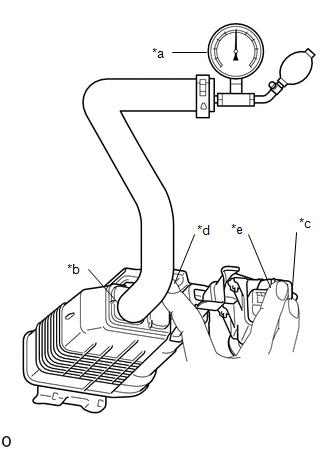 (2) With the vent port and leak detection pump sub-assembly connector closed, blow 5 kPa (0.05 kgf/cm2, 0.7 psi) of air into the air inlet port, and check that air flows from the purge port. 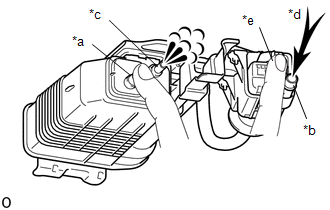 (1) Connect a pressure gauge to the vent port of the charcoal canister. 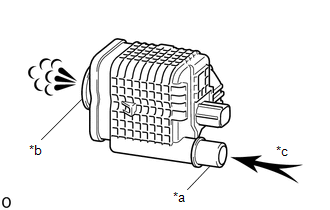 (2) With the purge port, air inlet port and leak detection pump sub-assembly connector closed, apply 20 kPa (150 mmHg, 5.91 in.Hg) of pressurized air into the vent port, then confirm that pressure is retained for 1 minute. 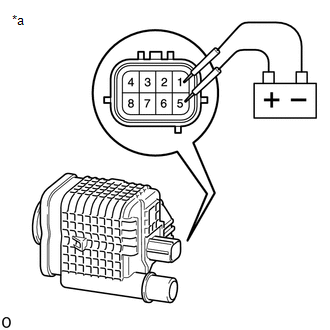 (a) Check the charcoal canister leak detection pump sub-assembly. (1) Check that air flows from port A to port B. (2) Connect the positive (+) lead of the battery to terminal 5 and the negative (-) lead to terminal 1. 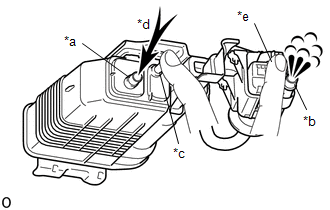 (3) Check that a clicking sound is heard from the leak detection pump sub-assembly.